$9.99 In stock. Order in the next 16 hours, 1 minute and it will go out today! In stock. Order in the next 16 hours, 1 minute and it will go out today! 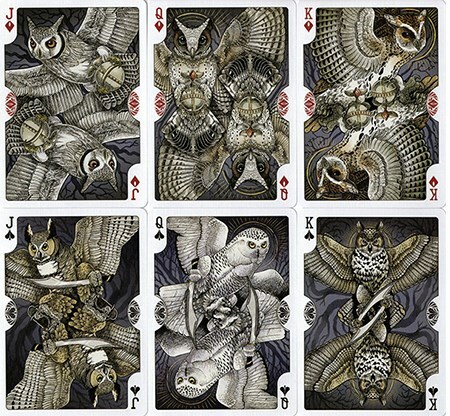 Summary: Absolutely stunning deck full of owls! Wow, is this ever an amazing deck! The artwork has just the right colour combinations to give a real nocturnal feel, with dark colours. 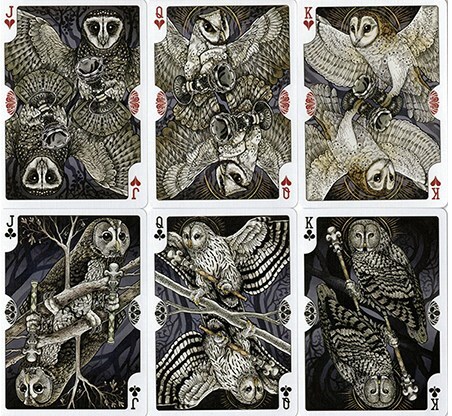 The artwork is incredible, especially on the court cards, each of which has different owls. 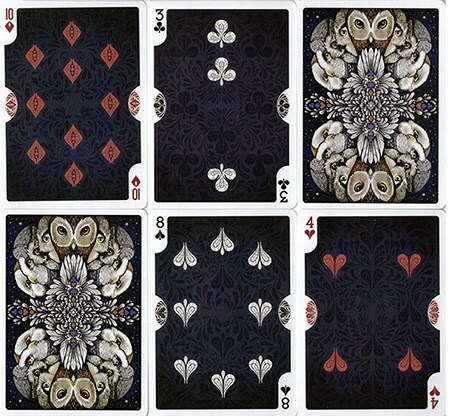 But the number cards are great too, with highly customized pips, and intricate and ornate detail, and ornate versions of the suits on both left and right borders. Looks even better in real life than in pictures. 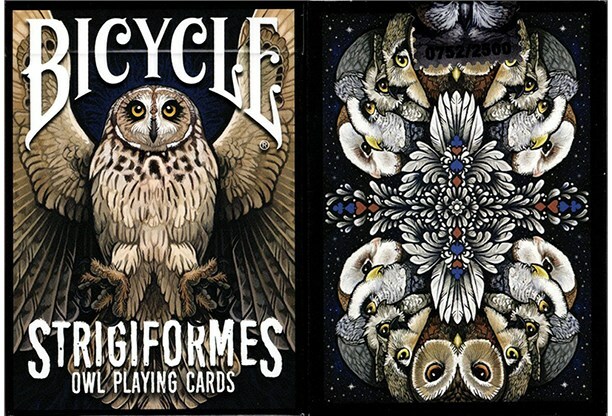 And with USPCC printing, it also handles well like a Bicycle deck.